Email has a bit of a reputation for being old-school. Some people think it’s downright stodgy. But that idea is as outdated as “email is dead”. Email is very much alive, so much so that many social media gurus have launched coaching programs for how to use email marketing. It took them awhile, but they’ve come to realize email is one of the biggest drivers of ROI around. While it may take a while for a new email marketer to realize how cutting-edge email can be, there’s plenty of evidence for them to review. 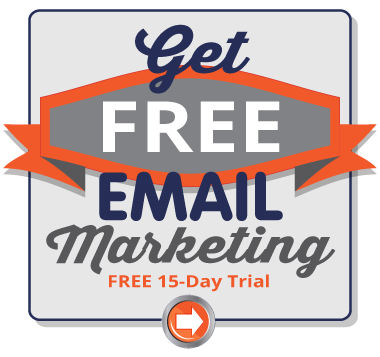 Email can absolutely be as dynamic and as cutting edge as anything on social media or the web. You just have to use your imagination…. and a bit of code. Video email marketing is a primary example of this. While it is true that not everyone can see embedded videos in emails, that should not mean they’re off the table. And even if an embedded video seems beyond your reach, there are several excellent alternatives to try. There’s plenty of incentive to try. Videos have been shown to nearly triple ROI over static emails. They open up communication opportunities that words can’t touch, and that even static images can’t beat. The 2014 Online Video Marketing Survey and Trends Report, published by Flimp Video Management, found that 82% of the marketers they surveyed say video email marketing is effective. 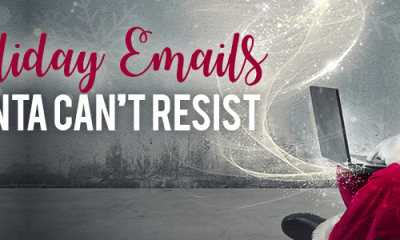 So put aside the idea that email marketing is as outdated as a fax machine, and see what adding some movement to your emails might do. Even if you don’t have extensive resources, the two lighter-weight alternatives to videos are easy to implement. Every email marketer needs to know about what’s possible now. Maybe a few of you will be inspired enough to try just one animated gif. Let’s walk through what’s possible with each one. These require HTML5 to be visible. Litmus did a major and public experiment with an HTML5 video backgrounds for the The Email Design Conference 2014. Unfortunately, the specific technique they used was only visible to Apple Mail and Outlook users, but those two groups actually ended up accounting for 40% of the people they mailed to. But 40% may end up being on the low side. According to an email email infographic from Email Monks, 58% of all users will be able to play video in email. 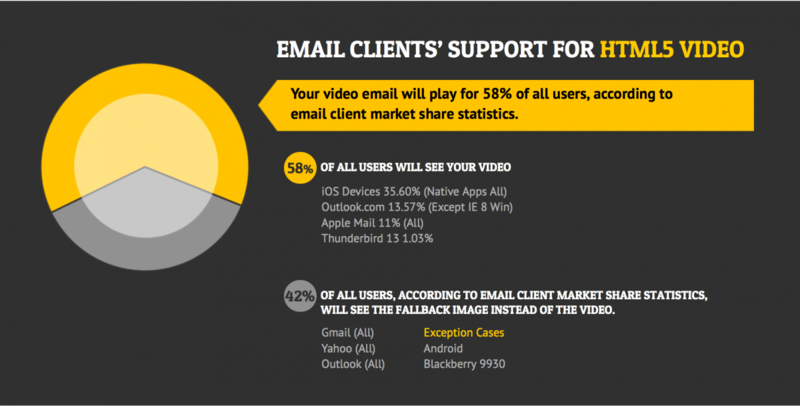 The segment of their infographic, Video Email Arsenal, is below. It shows which email clients can see HTML5 videos, and which ones can’t. If I take the latest email client statistics from the Litmus blog, we’ll see that Email Monks percentages have not changed very much. We’re still looking at a situation where a bit more than half of email users can see HTML5 video. Or, if you’re a bit more pessimistic (or pragmatic), nearly half of all email users can’t see HTML5 videos. Keep in mind, too, that many email marketers look at that 58% with a bit of skepticism. The real figure for HTML5 capability probably lies somewhere between the 40% Litmus saw when they mailed and the 58% Email Monks is estimating. And, of course, every list is different, so there's going to be a slight shift in any of these guestimates for your particular list. So what's the take-away here? It’s probably still a year or more until HTML5 video in emails is more widely used. Some of the bravest email marketers might leap in now, like Chanel did with this HTML5 email that StyleCampaign created, but those will be the exception. 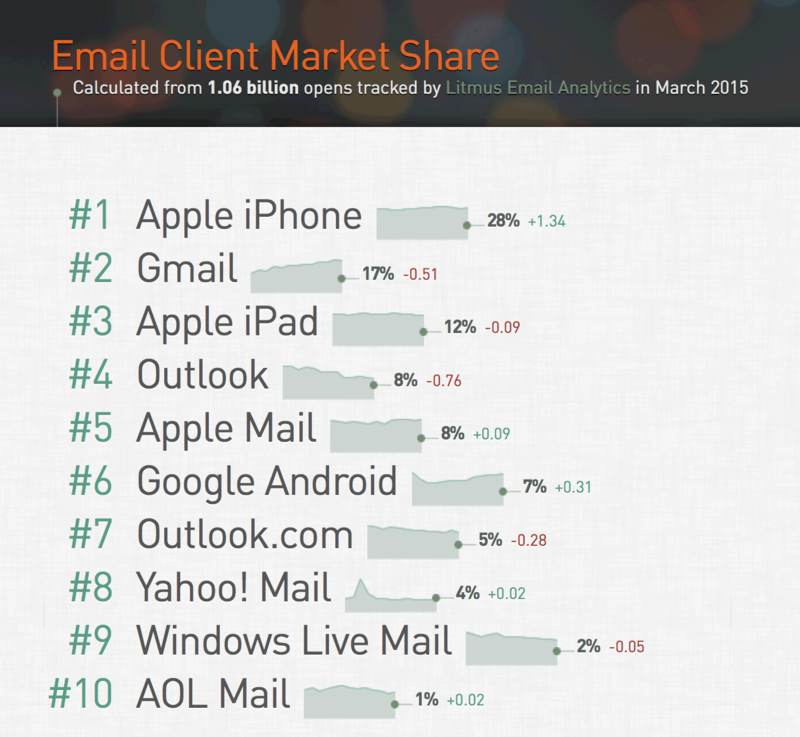 Again, what really matters for your results is which email clients your list uses most. It’s a good idea to check your email analytics to see which email clients your subscribers use. Who knows, you might actually see an opportunity for some video testing. Also, even if HTML5 videos can be viewed by more and more email users, there’s still going to be a significant group of users who can’t view embedded videos. Hopefully in a few years this group will be less than 10% for users, but we have to do our email marketing with the technology we have now. Because of that, we need to create an alternative for everyone who can’t see the videos. Fortunately, there's a great alternative to embedded videos. It's been widely tested, too. As you probably know, the most common workaround for embedded videos is to create a “fallback image”. This is a static image that users will see if they can’t view the video. Or you can just make an image that looks like the video, complete with the player controls at the bottom. While I was searching through several thousand emails to find examples for you, it was these static images that just looked like videos that were used 95% of the time. Here’s another example, this time from an online marketing expert. 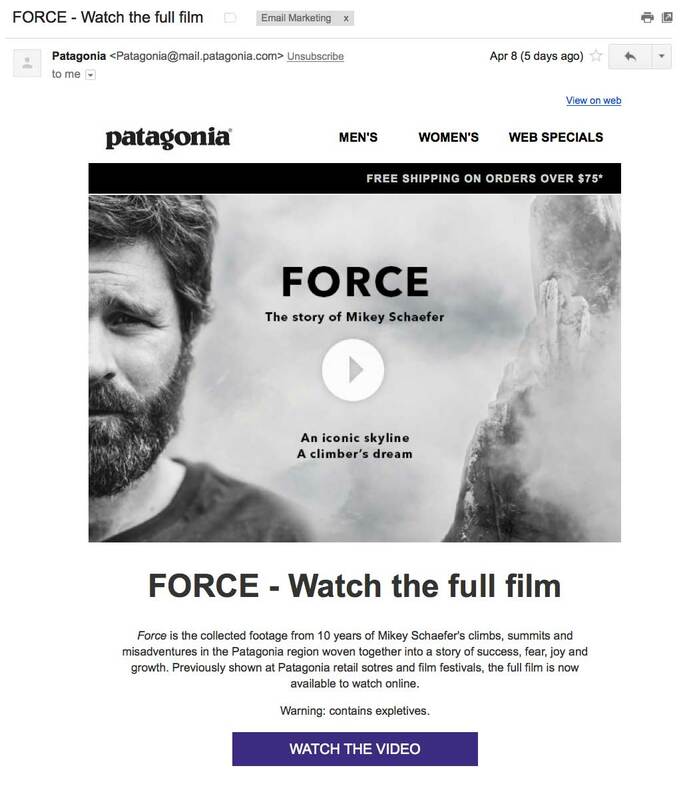 The "video" in this email is just an image. If you click on it, you're brought to a landing page where the video automatically plays. 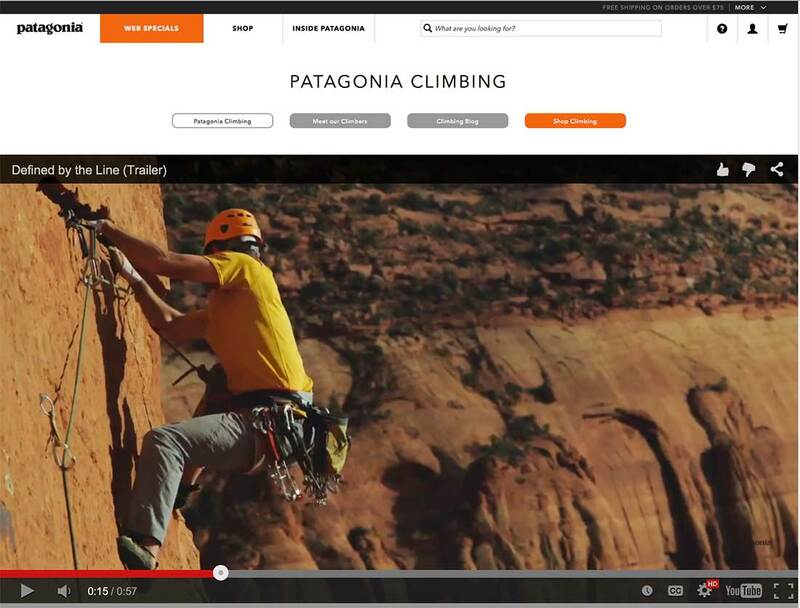 Some email marketers have also used "video gifs" as fallbacks for HTML5 videos. Unfortunately, while these will play on most email clients, the images are huge (think megabytes, not kb). The image quality is also fairly low, which is why while a few retailers tried these around 2008/2009, they’re rarely seen now. Other marketers have had some success with embedding YouTube videos in Gmail, but that's not a widely used tactic anymore. Animated gifs are increasingly being classified as videos. Though they are radically stripped down from a true video, it only takes a couple of frames to make an image appear to move. This is one of the tricks to keeping animated gifs both small and engaging – they shouldn’t be much more than six or seven frames. Often three or four frames is the sweet spot. It’s just enough motion to be engaging. Unfortunately, animated gifs don't work in Outlook. All you'll see of an animated gif in an Outlook client is the first frame of the gif. While that's a significant limitation (especially for B2B marketers, who usually have a larger percentage of Outlook users than B2C marketers), there is a work-around. Just create a first frame that also works as a static image. The nice thing about animated gifs is how easy they are to make. There are dozens of online tools (I like GifMaker.me best), and there are also tools for Mac users or for PC users. Of course, you can also create animated gifs in Photoshop. There’s a good tutorial on how to do that here, but there are plenty others available, too. If you want to make your animated gifs even smaller, run the individual frames through a tool like Jpegmini. If you use a minimizer like that first (in addition to saving for web in Photoshop, too, of course) it’s often possible to cut the size of an animated gifs down to one third of its original size. That can make the difference between having animated gifs be a viable or unrealistic technique. So do animated gifs and cinemagraphs work? 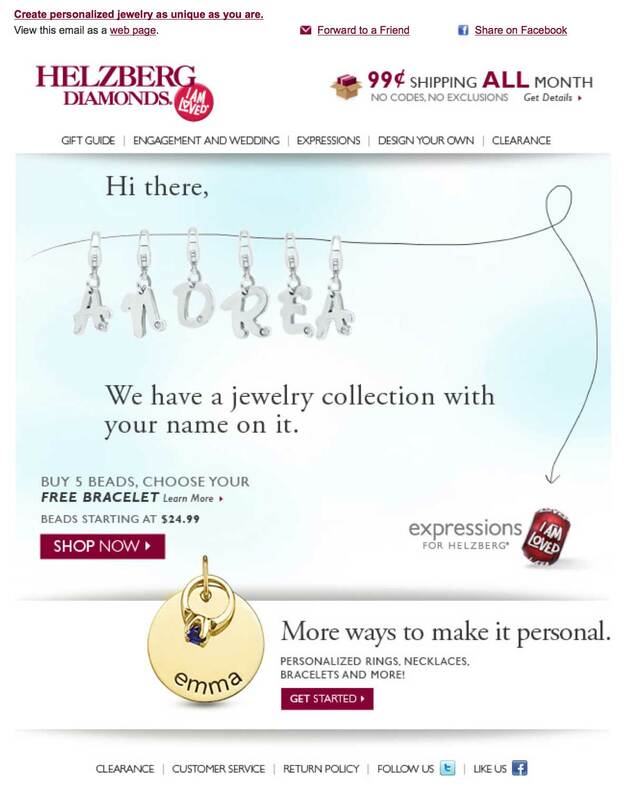 Read the full case study on this email from Marketing Sherpa, or see the animated email itself here. 1. In cold emails, for super-high value clients. 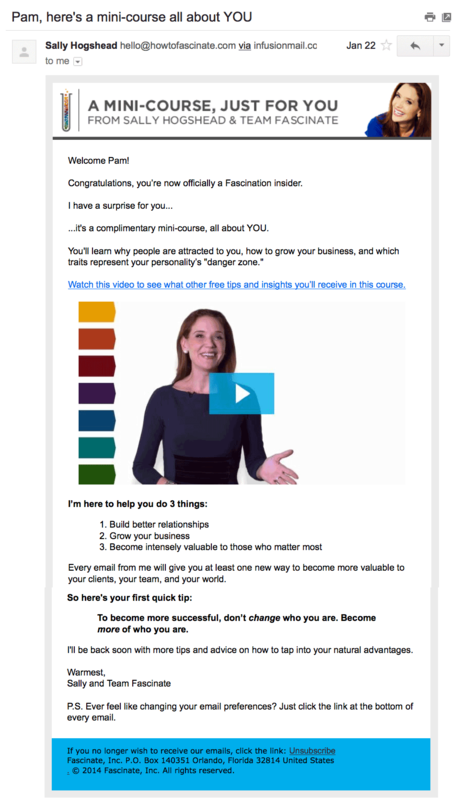 Many consultants are getting conversion rates of 20% or higher by sending completely customized, highly crafted cold emails to just the right prospect. While copy is always the safe choice, a personal, videotaped message (even if it was sent as a static image that lead to the landing page with the actual video), might be just the thing to break through an executive’s filter and to really get their attention. If adding videos to product pages can increase conversions by anywhere from 109% to 160%, what do you think one strategically placed product video could do in an email? If you can explain a new feature with an animated gif, you could send them in customer support emails to explain how to solve customers’ most common problems. Some SAAS companies actually give all their customer service people access to the screen capture app Jing. When a customer has a problem, the customer service people just make a 1-2 minute video explaining how to do what the customer wants. They send the video. This saves writing long explanations, and is more helpful to the customers. 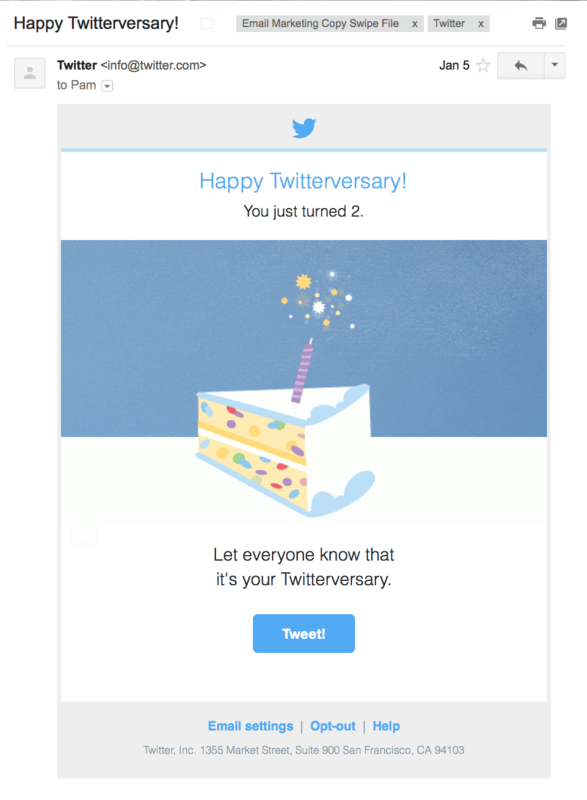 Here’s the email Twitter sent me to celebrate my second year tweeting. The candle sparkles like a firework. As you are probably aware, Facebook has made a huge push into video recently. There’s a lot of research that shows uploading videos directly to Facebook as posts (instead of embedding YouTube videos in posts) can dramatically improve organic reach of video posts. As a result, smart Facebook marketers are now uploading all their videos to Facebook directly. It’s been working so well that as of October of last year, there were actually more video views on Facebook than on YouTube! You can boost your Facebook engagement simply by doing some cross-channel marketing and reaching out to email subscribers who haven’t seen the cool new videos now available on your Facebook page. And an embedded video, a static image that looks like a video, or an animated gif that’s a montage of different videos are all great ways to get more eyeballs on your Facebook videos. I’m sure you’ve seen sales pages and websites with customer testimonials. Why not add one or two to an email? These kinds of customer stories might work especially well in an onboarding or welcome series of emails, or near the end of the sales cycle when you’re about to make the final pitch. Hopefully that gives you a lot of ideas for how you could add some movement to your videos. Even if you’re not ready to go all in with embedded HTML5 videos, the occasional use of a well-designed animated gif might be just the thing to lift response rates just when you really want them.